There are more cars on the road getting 40 miles per gallon than ever before. Partly due to new CAFE standards and driven by the engineers at OEMs and their suppliers, consumers now have a number of gas-saving powertrains to choose from today. Whether it’s the new ICEs, hybrids, electrics or a plug-in version like the Volt, we’ve never had more fuel efficient transportation that didn’t walk on four legs. 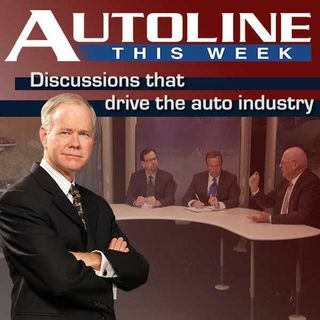 On Autoline This Week John McElroy talks to a panel of powertrain experts about today’s ... See More advancements and what will be driving us in the near future and beyond. Joining John are Christopher Thomas from BorgWarner’s Advanced Engineering Group, Roger Clark from GM’s Energy Center, and Chrysler Powertrain VP Dr. Mircea Gradu.